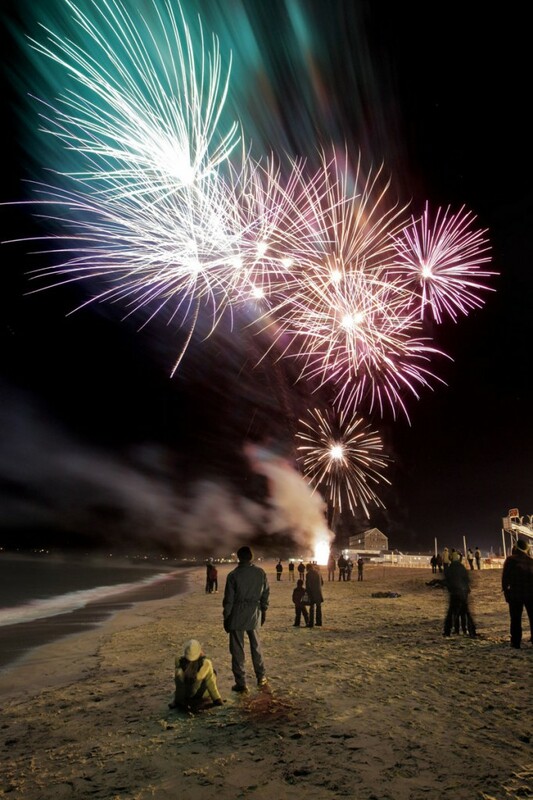 Matt Robinson, standing foreground, watches Friday as fireworks light up the sky during First Night activities at Old Orchard Beach. Robinson, of Saco, was joined by his wife, Shelby, who sits while holding their daughter Bella, 3. Activities also included a bonfire and fire rings where children roasted marshmallows.